Luxury Estate w/ Private Hot Tub, Theater Room, Billiards, Gaming & More! Located on Millcreek's upper east bench in Olympus Cove (Mount Olympus), this 9 bedroom luxury estate is 10 minutes to downtown Salt Lake attractions and the Salt Palace Convention Center. Beautiful custom stone, marble, woodwork finishings throughout this expansive home. Enjoy a stunning gourmet kitchen, separate basement apartment, large 3-tier movie theater, game room with billiards, ping pong, foosball, and private kitchenette. Multiple living spaces allow for up to 25 guests to entertain and relax and the bedrooms provide million dollar views of Salt Lake Valley. WHY CHOOSE UBVR We have a home that is JUST RIGHT for you! Whether it’s on the ski slopes of the Wasatch front, downtown shopping areas of Salt Lake City, or the beauty and warmth of southern Utah, we have a variety of home choices to fit your travel needs. We offer luxurious and comfortable homes, condos, townhomes, and communities that can accommodate 8 to 600+ people. Our Paradise Village at Zion vacation rental community in Santa Clara, Utah has made us the leader for group events. UBVR takes pride in our client services making sure the process from booking to checkout is the BEST. Overlooks entire Salt Lake Valley! Sleeps 25 comfortably with unobstructed mountain and valley views. This home is amazing and has a great list of amenities making it a wonderful place for families or groups to stay together and enjoy all that Salt Lake City has to offer! Guest services representative available to ensure your entire stay is enjoyable. Huge rooms with 30 foot ceilings, catwalk hallways upstairs overlooking the valley and mountains, 2 game rooms, beautiful custom home theater with flatscreen HD TV, and 2 kitchens We also offer discounts on rental cars, lift tickets, ski rentals, catered meals, private chef, and to local restaurants we are partnered with. We can also deliver groceries, arrange massages and more. distant view of great Salt Lake. EXCLUSIVE MTN-SIDE LOCATION NEAR DOWNTOWN SLC AND JUST 4 MILES TO ENTRANCE TO COTTONWOOD SKI CANYONS. 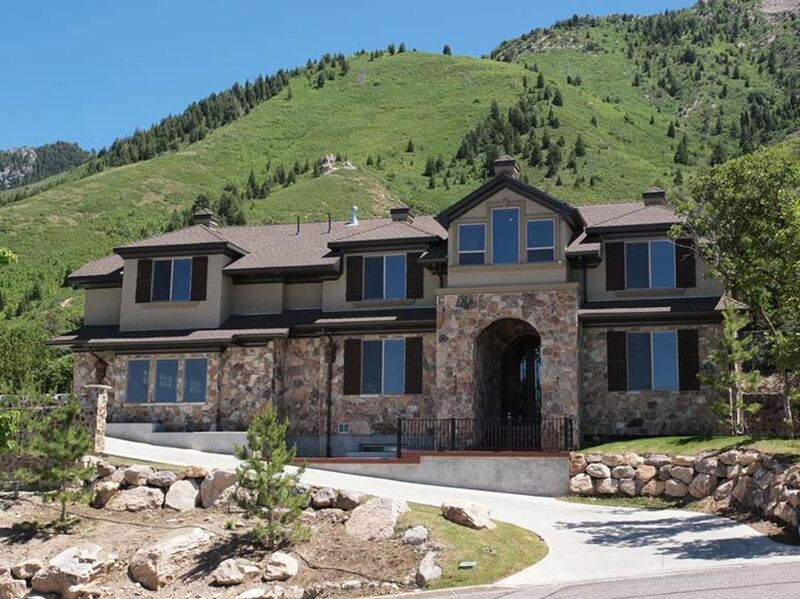 SITS HIGH ON THE MOUNTAIN OVERLOOKING ENTIRE VALLEY AND DOWNTWON SLC! SO MANY NEARBY ACTIVITIES TO ENJOY: HIKING TRAILS, MOUNTAIN BIKING IN GORGEOUS MILLCREEK CANYON 5 MIN DRIVE AWAY, WALKING, NATURE WATCHING, CLIFF REPELLING, ROCK CLIMBING, RELAXING VIEWS, NEARBY ZOO, BOTANICAL GARDENS & SUMMER CONCERTS, UNIVERSITY OF UTAH, 24 MILES TO PARK CITY, NEARBY PARKS, BIRD AVIARIES AND SO MUCH MORE IN THE HEART OF DOWNTOWN SLC!